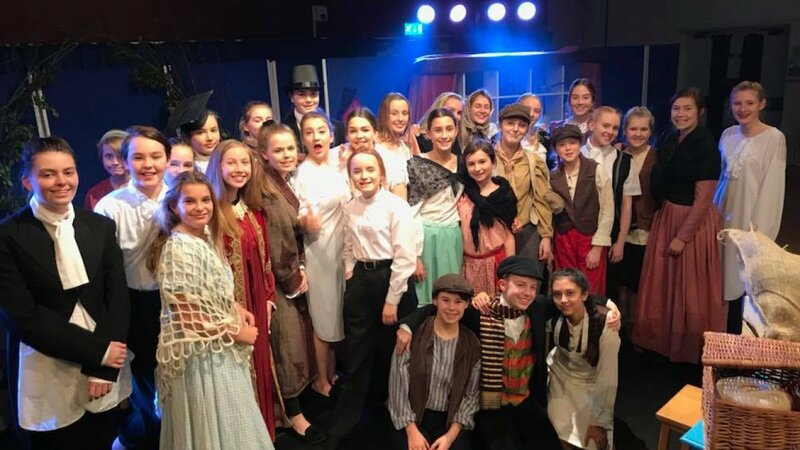 The Christmas season has begun at Kingsley as a cast of forty talented girls staged a performance of ‘A Christmas Carol’. Across three packed evenings, the girls brought Dickensian London to life, with Gemma, Annie, Ellie and Lucy playing elderly miser Scrooge at different stages in his journey of redemption. The girls delivered an engaging, complex and emotional production that made the audience laugh, cry and leave full of festive cheer. The whole cast benefited enormously from the experience of working with professional actor and director, Antony Law, who has directed over 100 shows and showcases around the country.